Also this weekend, we celebrated our family Christmas. 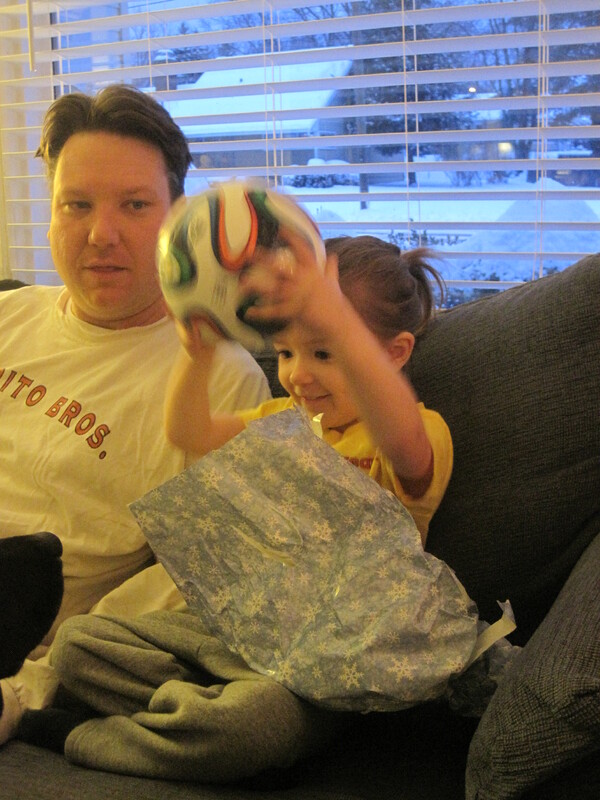 M got some garden tools, an official (small) World Cup soccer ball, a new cup to replace her sippy cups, a cup holder for her carseat, a book about Polar Bears, a heart shaped bowl for her jewelry that she picked out and I painted, a bath toy and a probably few other small things I’m spacing. S got an elephant towel and a few small toys. 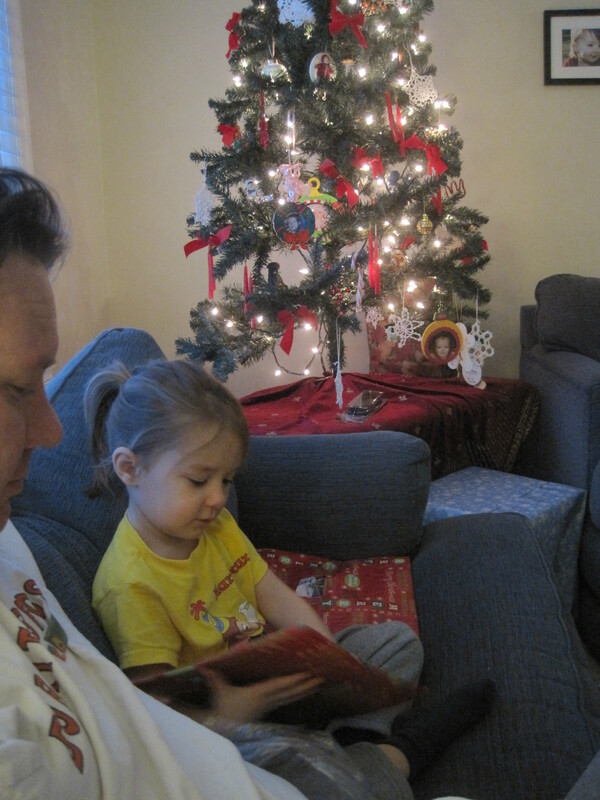 (We keep it simple because this is the first of several times they’ll open presents this year). 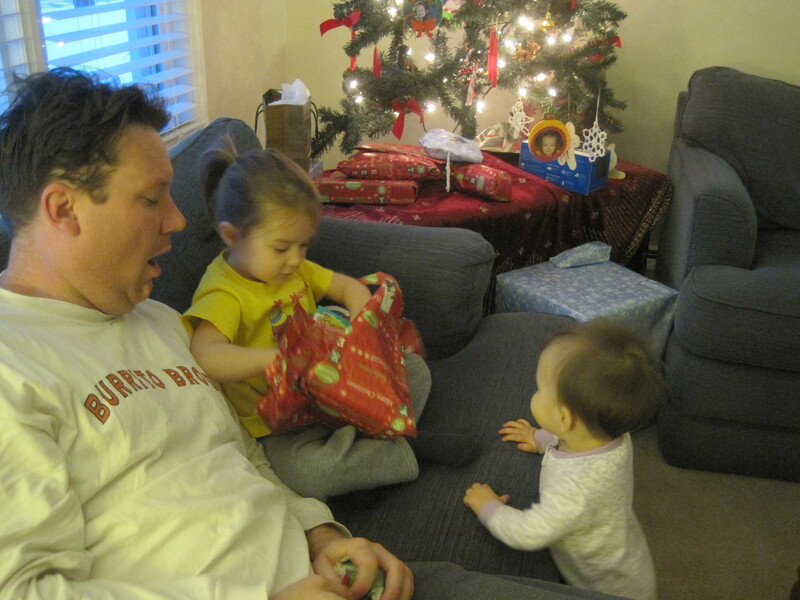 M enjoyed “helping” S open her presents. 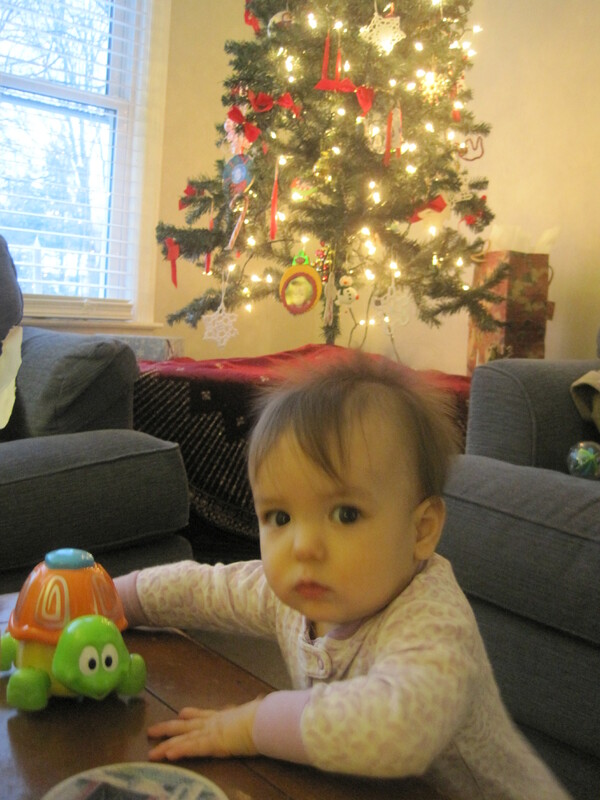 S enjoyed touching everything except her own presents. We had a few inches of snow overnight and it made for a pretty beautiful “Christmas” morning.